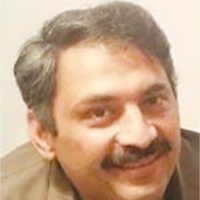 ISLAMABAD: Ahmed Noorani, a journalist who works for The News, was admitted to hospital after six people on motorbikes chased his car, intercepted it, dragged him out of the vehicle and beat him up roundly here on Thursday. A large number of political figures, belonging to almost all the major parties, termed the attack a vicious assault on the freedom of the press. And many of them visited the Pakistan Institute of Medical Sciences (Pims) to inquire after Mr Noorani’s health. Associations representing media personnel announced that they would hold a sit-in at the place where he was assaulted and boycott parliament’s proceedings in case no suspects were arrested by Monday. According to the FIR, Mumtaz Chaudhry, the journalist’s driver, said they were on their way to Mr Noorani’s residence in G-6/2 (Islamabad) from Rawalpindi when six motorcyclists intercepted them at Zero Point, not far from the offices of the Press Information Depa­rt­ment and National Counter Terrorism Authority. The motorcycles they were riding didn’t have any number plates, said the FIR and added that the assailants seemed to be about 20 years old. One of them removed keys from the ignition switch of Mr Noorani’s car and blocked its passage. Four people then pulled Mr Noorani out of his car, said the FIR. They then stabbed him in the head with the intention to kill him. The other two men overpowered the driver and hit him in his abdomen, head and leg, the report stated, adding that as a result both the journalist and his driver suffered injuries. The attackers also took away their mobile phones, only to throw them away later, and fled from the scene of the crime, according to the FIR. When contacted, a police officer said details had been collected from the victims and sketches of the assailants had been prepared. He said that during investigations assistance would be sought from the control room of the Safe City project for provision of relevant footage, etc. “During the investigations police would try to ascertain the possible reasons for the assault,” he added. Another police officer said that after getting a written complaint from Mr Noorani’s driver, a case had been registered at the Aabpara police station and the charges mentioned were attempt to commit murder (PPC 324), punishment for wrongful restraint (341), rioting (148) and others. An official of the Jang group said this was not the first time that someone had targeted Mr Noorani. “A few months ago some persons assembled outside Mr Noorani’s home and used abusive language and threatened him,” he said. “A similar incident took place a few years ago, when some people went to his house in his native village and warned his family members of dire consequences. How­ever, Mr Noorani and his relatives decided not to take the matter to the security agencies,” he said. Pims Vice Chancellor Dr Javed Akram said the journalist was initially taken to the Polyclinic, where he was provided first aid. He said that although Mr Noorani was out of danger, he was hospitalised because of his head injury. “He will be kept under observation for at least 24 hours,” he said. An editor of The News, Ansar Abbasi, tweeted that Mr Noorani had been “severely beaten” by six attackers and he sustained “multiple head injuries”. Meanwhile, on the call of the Rawalpindi-Islamabad Union of Journalists, a large number of journalists gathered outside the National Press Club and held a demonstration. On the occasion, prominent journalists like Hamid Mir, Arshad Sharif, Saleem Safi, Murtaza Solangi and Shakeel Anjum alleged that the incident was an attempt to suppress the community of journalists. The protesters appealed to the Chief Justice of Pakistan to take notice of the incident. They said that if a journalist could be attacked so viciously in the federal capital, one could easily imagine the kind of situation the journalists working in the interior of the country were facing. They said that initially anchorperson Matiullah Jan was attacked, then a malicious campaign was launched against Syed Talat Hussain.